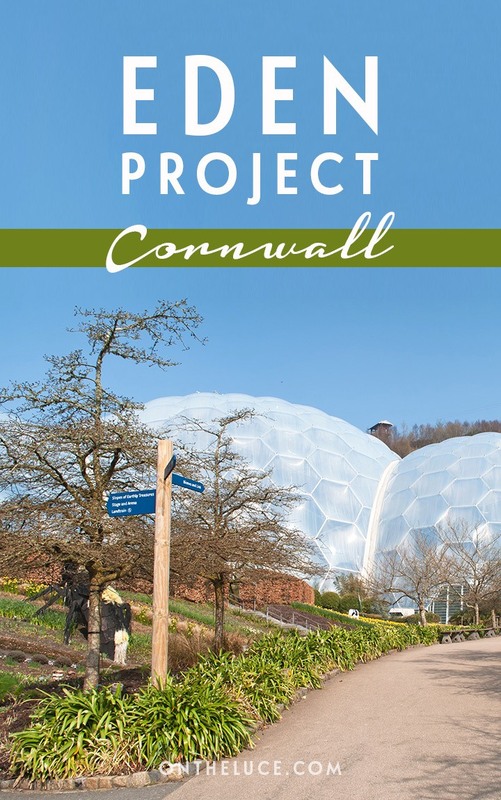 Holidaying in Britain in the spring is always going to mean taking your chances with the weather, but there’s one place in Cornwall where you’re guaranteed it’ll never be cold or raining – the Eden Project. This 35-acre patch of land has been transformed from a barren china clay quarry to an oasis of greenery. 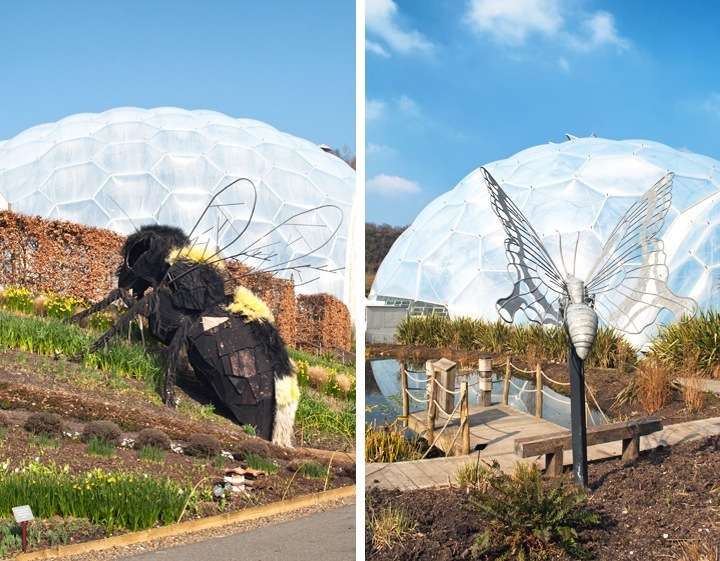 Set up by an ecological charity to promote education about the natural world, it’s home to two huge biomes that bring a taste of the rainforest and the Mediterranean to south-west England. Since it opened in 2001 it’s become one of the UK’s most popular visitor attractions with around a million visitors each year. From our base in nearby St Austell, we were able to be at the entrance as soon as Eden opened. The maze of seemingly endless car parks on the way in shows how popular it can get, but early in March we had it almost to ourselves. You can catch glimpses of the biomes as you walk to the visitor’s centre, but it’s not until you get through the entrance that the site opens up in front of you. The vast green crater is dominated by the white domes of the biomes. Each is made up of hundreds of hexagonal and pentagonal inflated panels that are held together by steel frames. At 300 feet tall they’re the world’s tallest greenhouses, but from above they look more like giant half-buried golf balls, or soap bubbles that have joined together. The gardens open half an hour before the biomes, so we set off to explore them first. 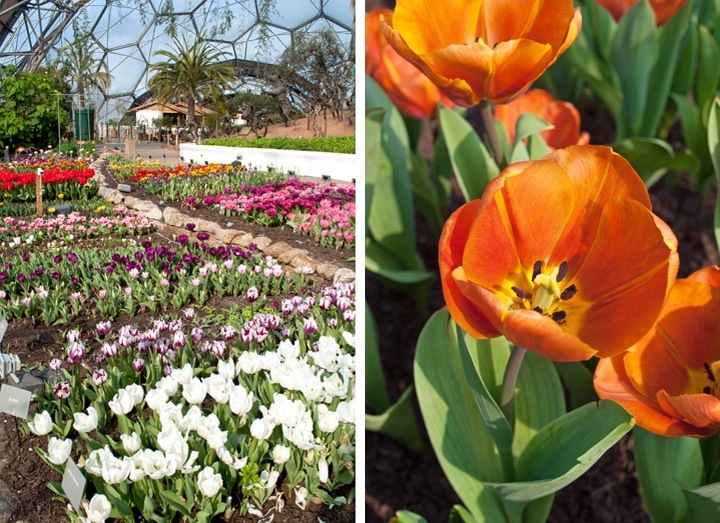 The biomes might be the Eden Project’s main attraction, but there’s a lot more to the site. 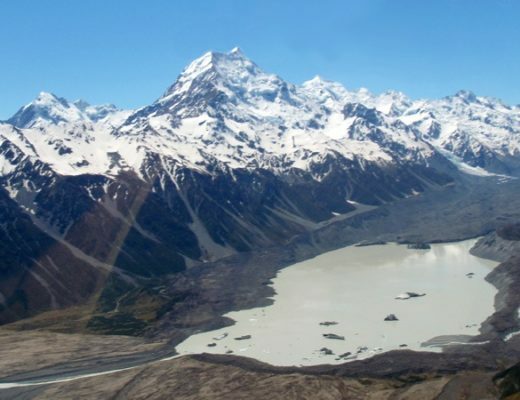 Over 3000 different plant species grow here, from ancient tree varieties to vegetable gardens. 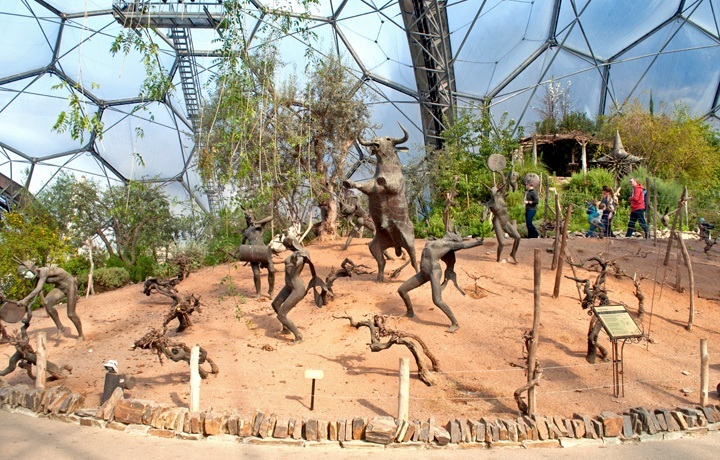 Sculptures are dotted among the plants, often with an environmental message. There’s the giant bee to show how important their pollination is to the food chain. And the even bigger WEEE Man, a 23-foot-high figure made from electrical appliances to show how much electrical waste one person produces in their lifetime. Environmental education is incorporated all around the site, and Eden itself is designed to minimise environmental impact, with plenty of recycling bins, composting of food waste and rainwater used for everything other than cooking and washing your hands. When the biomes opened, our first stop was the rainforest. Years back I spent a lot of time travelling around south-east Asia, and the wall of humidity that hit me as I went inside took me straight back there. With birds chirping, the drip of water and the rustle of giant palm leaves you could easily forget you were in Cornwall. As temperatures hit 32 degrees it was a bit of a change from the 10-degree spring day outside (I was definitely regretting the thermals at this point). The rainforest is full of exotic plants from the tropics – rubber plants, giant bamboo, bananas, cocoa and coffee plants – as well as waterfalls and a canopy walkway taking you up into the tree tops. And if that’s not high enough, there’s a viewing platform right at the top of the dome, though beware it gets hotter and hotter as you climb, so the steps are a bit more challenging than they look. If the heat does all get too much there’s a ‘cool room’ you can retreat to. Next door in the Mediterranean biome things were a bit less sticky. Different sections recreate the plants and landscapes found in the warm temperate regions around the Mediterranean, South Africa and California. 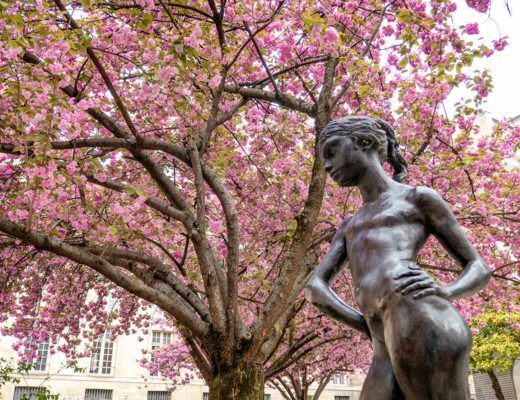 So there are grape vines, olive groves, lemon trees cacti and date palms, as well as a springtime tulip garden inspired by Keukenhof in Amsterdam while we were there. 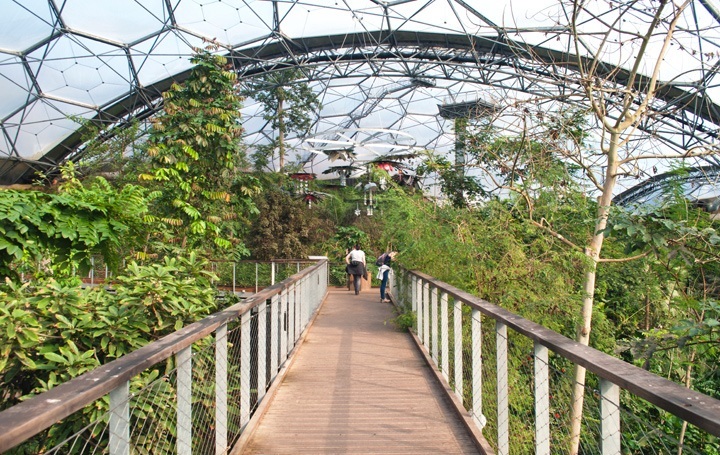 Away from the biomes there’s also an environmental education centre in a spiky building called the Core and an outdoor stage that hosts the Eden Sessions music concerts each summer. 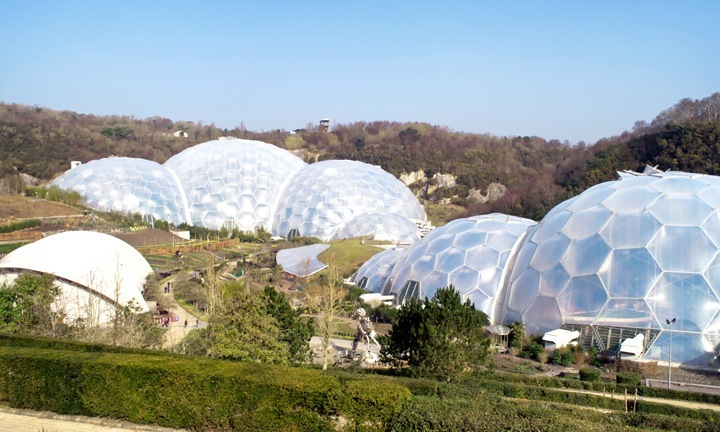 And one of Eden’s newest attractions is a England’s longest and fastest zip wire, which runs right over the domes (check it out in this video from Travel with Kat). It’s one of those places you could come back and see something different each time. The plants change with the seasons and there’s a whole range of events through the year from an ice rink in winter to a beer festival and marathon in the summer. You can also stay on site in a YHA Snoozebox – an environmentally friendly hotel made up of converted shipping containers. Pushed for time, we only managed a taste of Eden’s attractions. But if you donate the price of your ticket rather than paying for admission, then your ticket is converted into an annual pass. So I’ll be back to zip over those biomes another day. 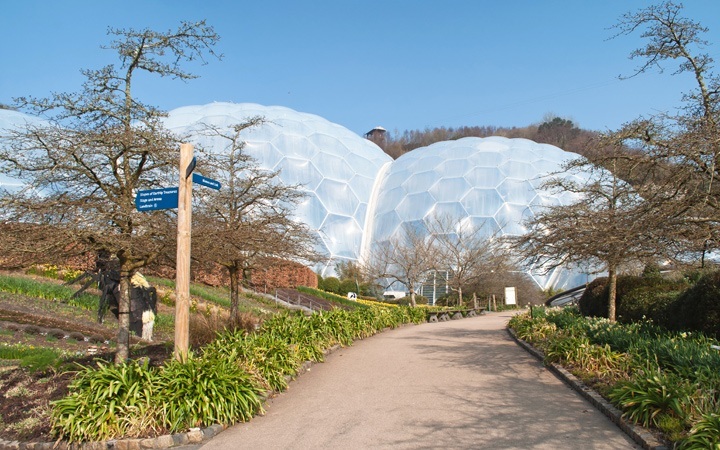 The Eden Project is normally open from 9.30am–6pm, with opening until 8pm on summer weekends (check the full opening times for details as the biomes sometimes close early). Entry costs £27.50 for adults, £22.50 for students and £14 for children 5–16. 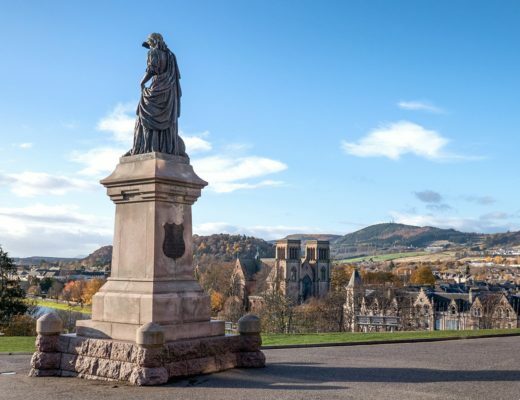 If you book online in advance you can save around 10% and there’s also a discount if you are staying at the YHA or arrive by public transport. To beat the crowds it’s a good idea to get there early (the ticket desk opens half an hour before the biomes and the car park half a hour before that) and also to dress in layers as if it’s cold outside as you’ll be sweltering in the rainforest. I like the soap bubble comparison. 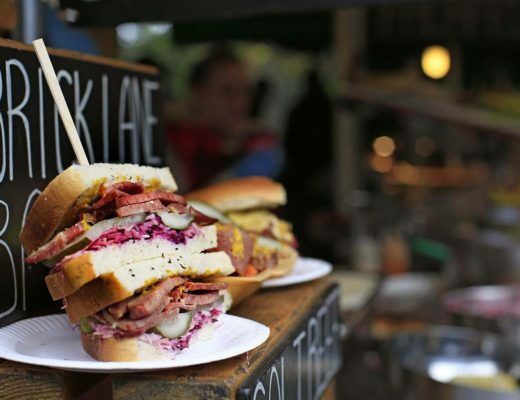 Seems pricey – is it worth it? We did balk a bit at the prices, especially as we only had a couple of hours there, but it’s not so bad if you can come back and use the annual ticket a few times, and we did all really enjoy it. 32 degrees was lovely – though slightly wishing I’d not worn the thermal and tights at that point! Such beautiful gardens it got me inspired to try and sort out my patch of mud too (there’s a long way to go!). 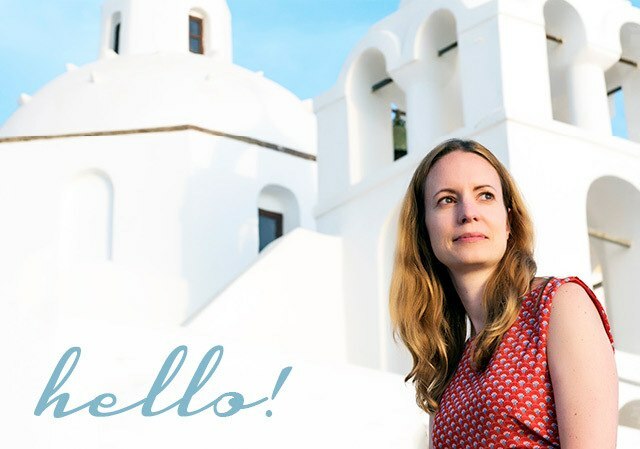 I finally made it here last month too – it is quite amazing and we spent hours wandering round, although I’d have stayed longer without a tired three-year-old and a long drive home. The annual pass would be great if I lived closer. 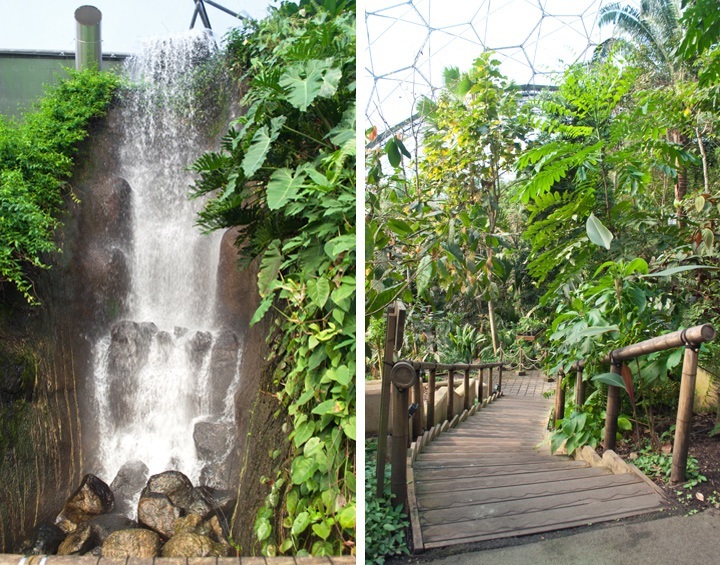 I’d be in that rainforest biome every day in the winter if I lived close by! Lovely place, so glad I finally made it. It’s well worth it Jo! We did do very well with the sunshine, always a risk in March! It’s such an unusual structure but works so well with the landscape, hope you get to make the trip someday. 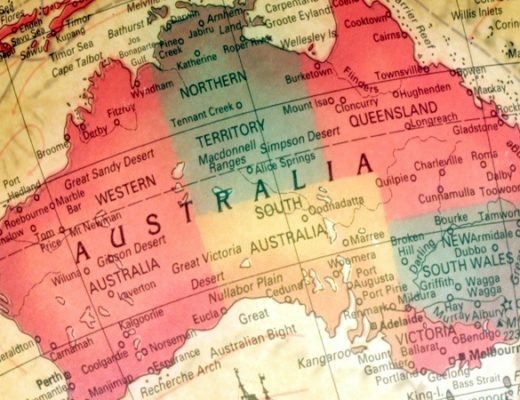 I love the pictures on here, this blog is very interesting to read, by the way, thank you for sharing this post.